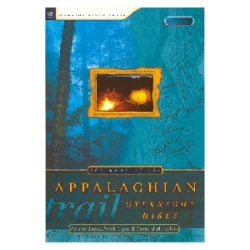 The Best of the Appalachian Trail: Overnight Hikes, by Victoria and Frank Logue and Leonard M. Adkins. 2nd edition, 2004. Sixty backpacking trips are outlined, visiting all fourteen states and offering a variety of difficulty levels. A useful overview of weekend backpacking opportunities along the Trail. 184 pp, 6” x 9”.